For years now, the hardworking staff has expressed not fulsome (which means “effusive, excessive, or insincere praise”) but full-throated admiration for the work of Ring Lardner, who is either a minor major 20th century American writer or a major minor 20th century American writer, depending on how you hold him up to the light. 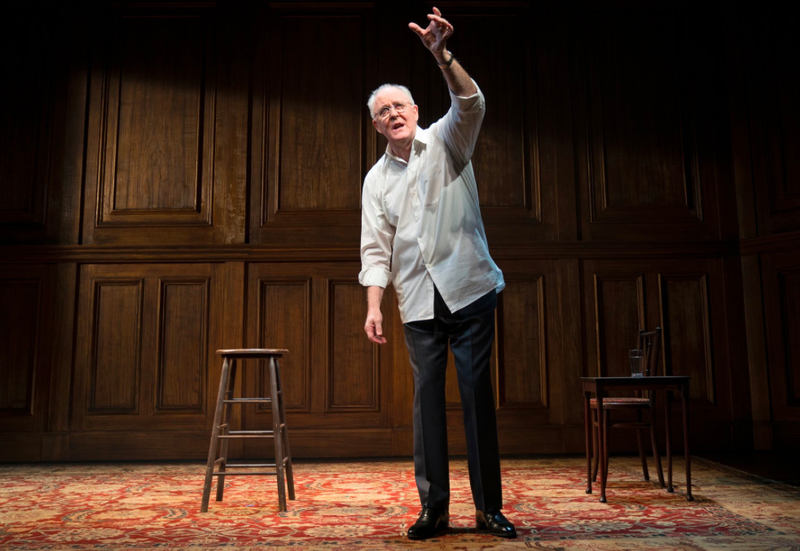 Regardless, John Lithgow’s current one-man Broadway production, Stories by Heart, revolves around two short stories, one of them by Lardner, along with Lithgow’s reminiscences of his father, who read the stories to him as a child. First up is Lardner’s “Haircut,” as Jesse Green’s New York Times review notes. That’s all in the Lardner, but Mr. Lithgow adds another emotional channel by showing us how the barber, himself a good old boy, is implicated in the nastiness he pretends only to describe. An astonishing collection of laughs — whinnies, giggles, squeals, snorts, heaves — gradually colors the narrative, until this seemingly harmless man becomes, in effect, not just a witness to savagery, but also an accessory. Over at the Wall Street Journal, theater critic Terry Teachout says this about Lithgow’s rendition of the Lardner story. As it happens, Lardner also wrote The Big Town: How I and the Mrs. Go to New York to See Life and Get Katie a Husband. Nice to see he’s made it back. 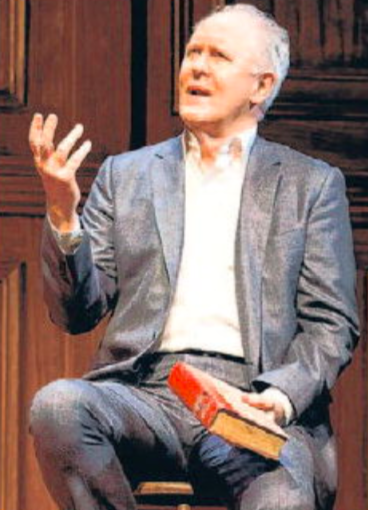 This entry was posted in Uncategorized and tagged “How to Write Short Stories—With Samples”, Haircut, Jesse Green, John Lithgow, New York Times, P.G. Wodehouse, Ring Lardner, Stories by Heart, Terry Teachout, the Big Town, Uncle Fred Flits By, Wall Street Journal. Bookmark the permalink. Larder was was part of that cadre in the early part of the late 29th and early 20th centuries that could write. A lot, today, is put in print, but a remarkable amount of that material doesn’t live up to the term as it was established during those extraordinary four decades. Lardner was was part of that cadre in the early part of the late 29th and early 20th centuries that could write. Lardner holds up pretty well after all these years – better, I think, than Runyon. For years I prowled used book stores to get a full collection of Lardner’s work, and found them all eventually except Own Your Own Home. Took me 15 years to find it – wouldn’t take 15 minutes now. I try to tell my students why my search was better than Google, but I’m not sure they get it.